A little frayed at the edges but still standing tall. Feel free to make any comments either on this website by clicking the ‘Leave a Comment’ text in this post above or by logging onto my Facebook Page enjoy – Click on the image for a larger view. 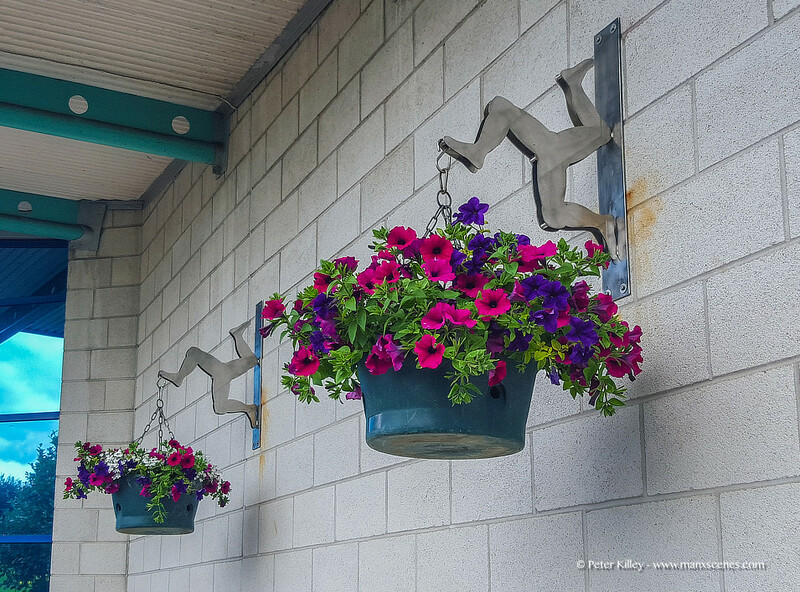 I love these stainless steel 3 Legs of Mann at the National Sports Centre. 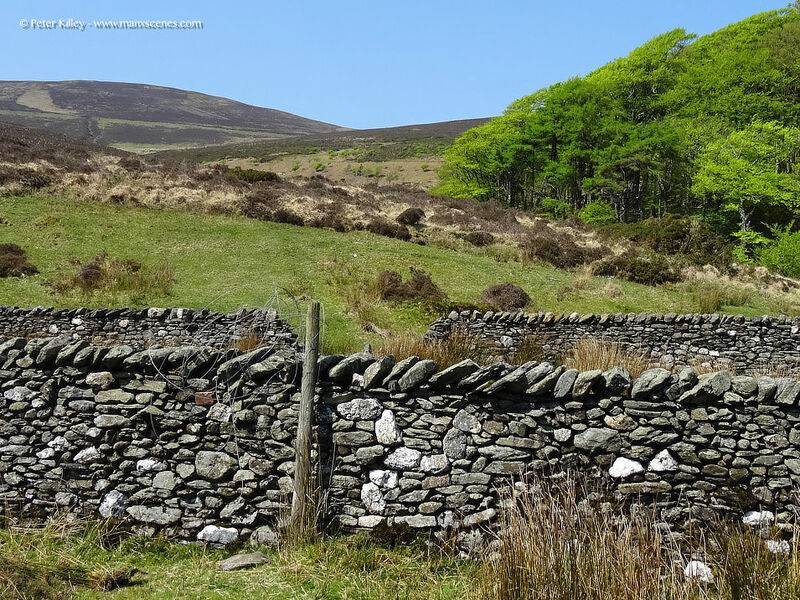 The 3 Legs of Mann in white quartz rock built into a remote country wall at Druidale. I would love to know if it was just randomly built into the wall by a stone mason or is there some history behind it? 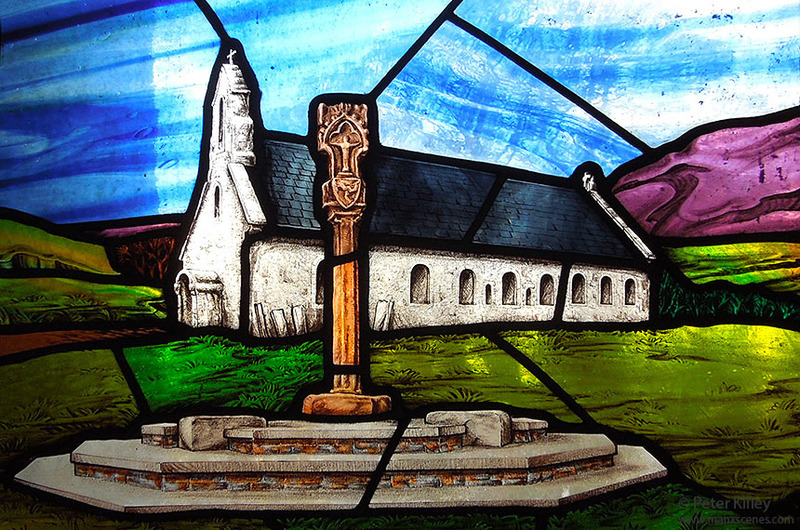 This stained glass window inside St. Peter’s Church in Onchan depicts Maughold Parish Church and the “Maughold Parish Cross” which is a 14th century St. Bees sandstone carving and is one of the earliest representations of the 3 Legs of Mann (apart from the 3 Legs inscribed on the Pommel of the 12th Century Manx Sword of State) it is also interesting to note which direction the 3 Legs are pointing! I have taken a number of images of the stained glass windows in St. Peter’s and I will add them to Manxscenes.com over the coming months. 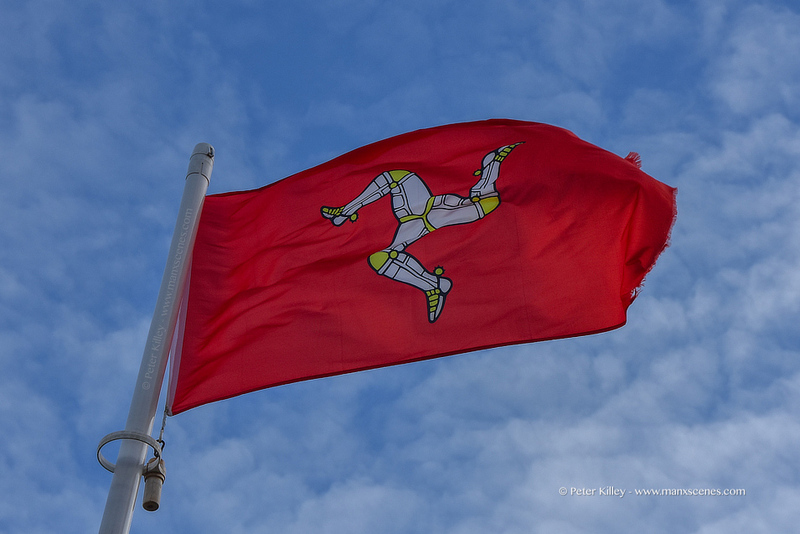 I spent a pleasurable hour walking around the court of Tynwald the other day during my lunch break. 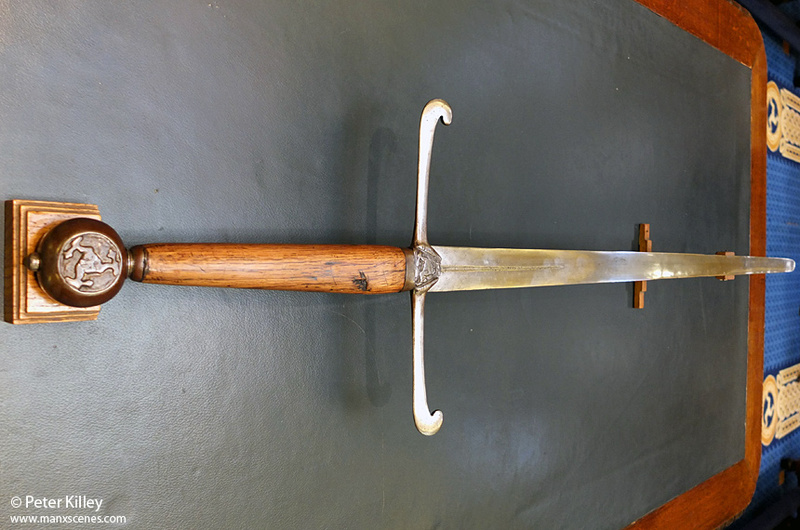 Click on any of the below images for a larger view. 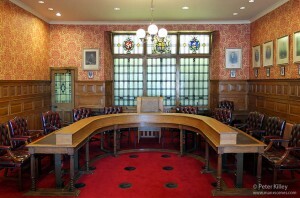 Depicts the Tynwald Chamber which has been used for sittings since December 1894 and formerly housed the old Weights and Measures office before it became occupied by Tynwald. 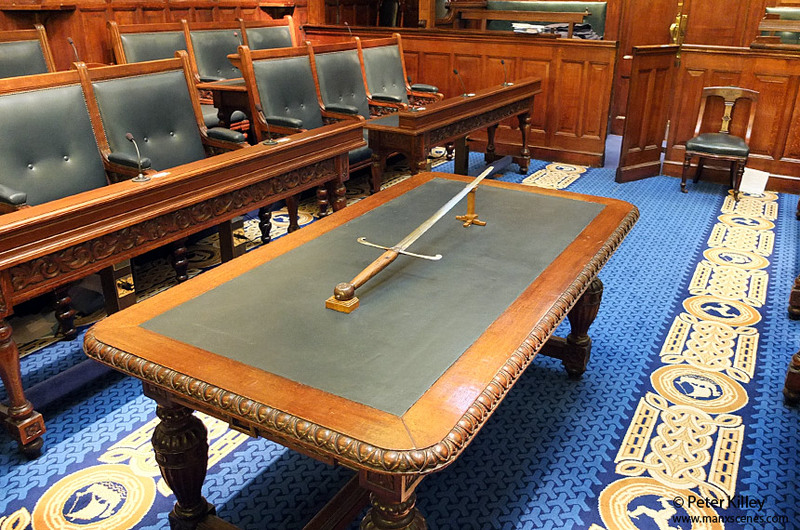 Also shown is the table which holds the Manx Sword of State which must be present under Tynwald Standing orders before any sitting can take place. 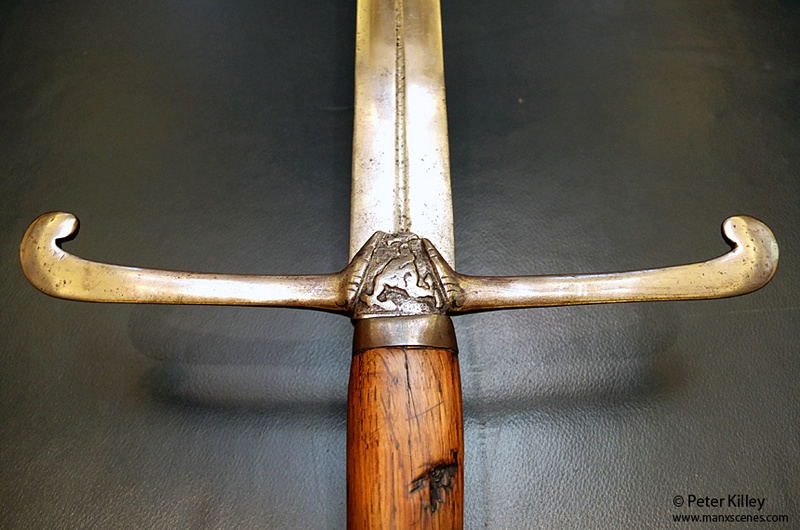 Depicts the Sword of State which is traditionally ascribed to Olaf II , who before he became King is believed to have used it in fighting against the Moors in Spain in 1230. 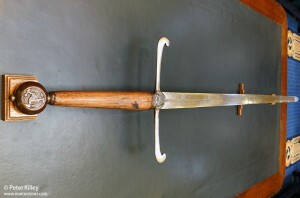 It may really be dated nearer 14th Century. 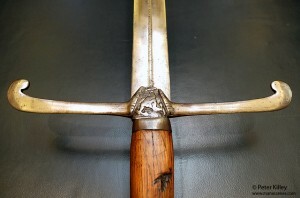 The Sword has the earliest known depictions of the ‘Three legs of Man’ in its oldest form, and the Legs are depicted on the Pommel and on shields set on either side of the blade where the guard intersects the blade. 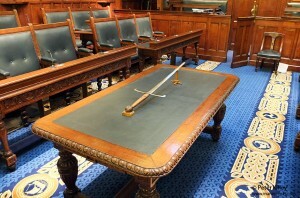 The sword is present at all sittings of Tynwald and is carried before The Lieutenant Governor at St Johns on Tynwald day. 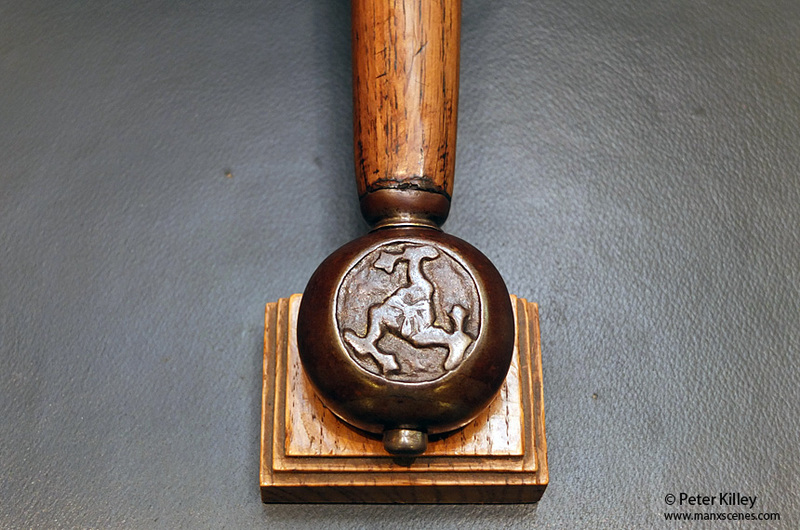 The Sword is the Island equivalent of the Mace that is used in Westminster, but differs in that it points straight ahead and not left or right as in England which denotes the part in power. 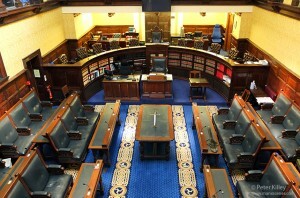 This illustrates the legislative Council Chamber and shows the meeting table. The Council are a revising Chamber and examine in details green bills presented from the House of keys of proposed legislation. 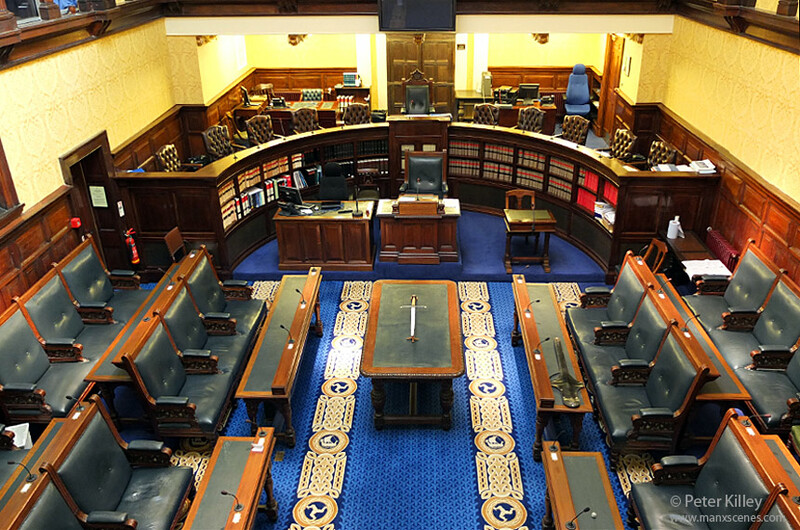 The Legislative Council is presided over by the President and has 10 members indirectly elected by the House of Keys or Ex officio . 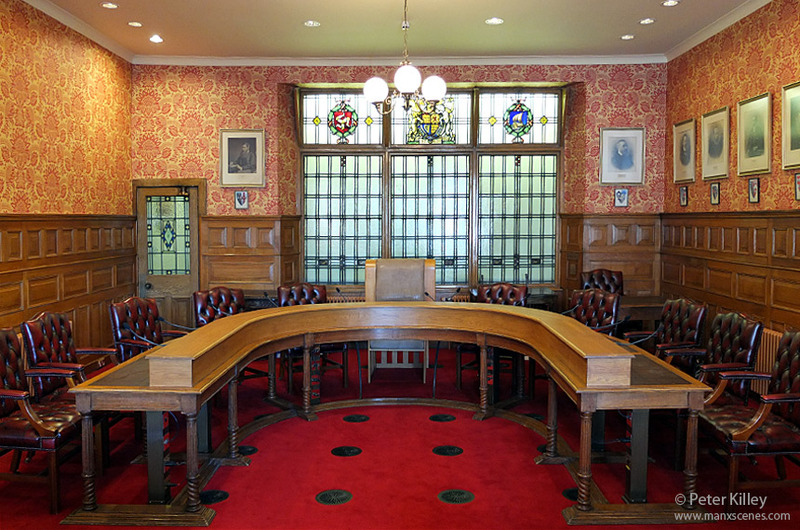 My grateful thanks goes to Tynwald Seneschal Mr Paul Daugherty for his excellent knowledge and advice on every aspect of Tynwald and for supplying to me the above information to go with each of the images. This image shows the entrance to the famous Royal Chapel at St Johns and its worth noting the direction of the Three Legs of Mann which is dated 1848 – (click image for larger view). 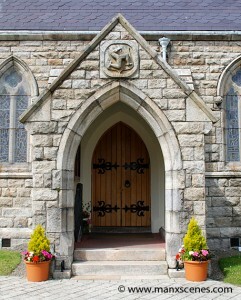 The image was taken on my Nikon D80 SLR with a Nikon 18-135 F3.5/5.6 G AFS DX lens, and cropped in Adobe Photoshop CS5.